Bruichladdich Rocks- These people break all the rules and somehow the result is just grand. An un-peated Islay malt is unheard of and it’s the water that filters through the rocks that makes the magic happen according to head distiller Jim McEwan, and I surmise that he know’s a wee bit about this issue. This non-smoky single malt is a feisty dude with a boat load of character. Islay is home to several of my favorite single malts and this newbie just made the list even longer. 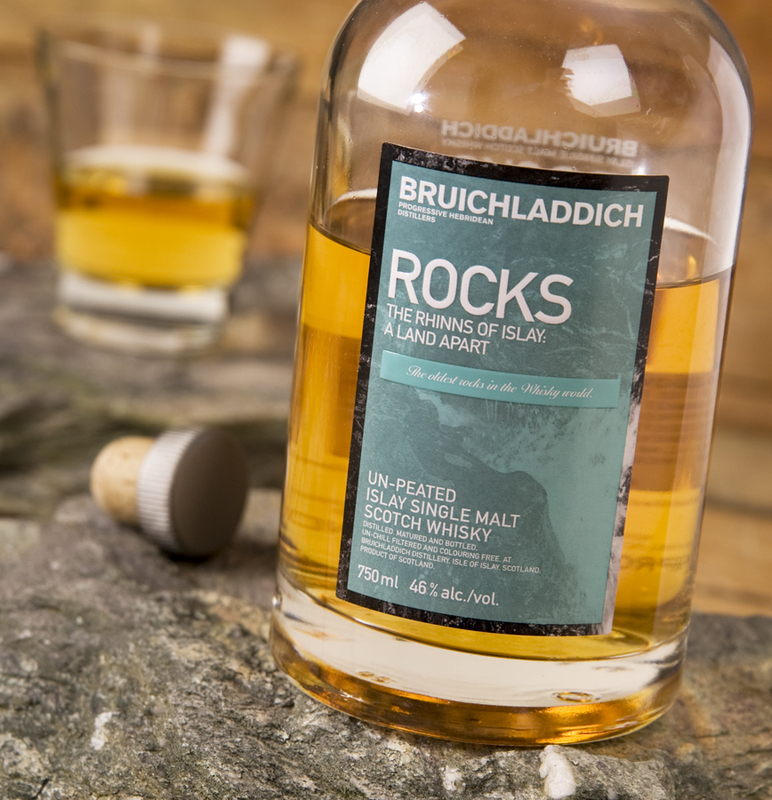 Rocks indeed…..the name is a misnomer if ever there was one because this is a smooth drink dripping with character, nothing crude here. The liquid is a beautiful amber color and the nose is rich and slightly sweet with a good dose of alcohol initially. The usual caramel flavors give way to some interesting heather or floral notes and the finish is lingering. Keep the ice away from this one even in the summer sun, it demands to be enjoyed neat ….. Oh, and that crazy color on the label? My pal Nicole swears that the ocean at the Bruichladdich distillery really looks like that, maybe we need a field trip to verify . I rate this crazy rebel a solid 8. This entry was posted on August 7, 2014 by kenbuschner. It was filed under Uncategorized and was tagged with Bruichladdich, Islay, peat, Rocks, scotch, single malt, un-peated.